This section is not a joke. 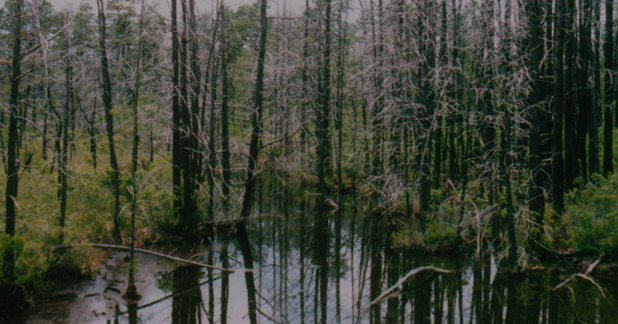 These are actual accounts of strange tracks and sightings in the Pine Barrens. Truthfully, I've never been a believer in fairy tales. The story of the Jersey Devil is certainly fascinating, but until I saw evidence with my own eyes (and camera) I was skeptical. Believe what you want. I want to believe there are still things out there beyond our explanation. I still have doubts and always will, but form your own conclusions. While walking through the Pine Barrens, I ventured pretty far back on secluded trails. I had my video camera with me that day and recorded what I saw. 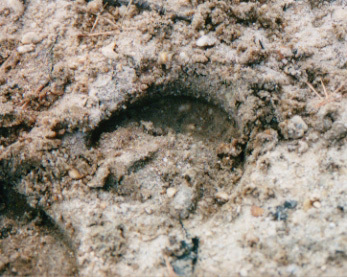 There were large, deep U-shaped tracks, similar to hoof tracks in the slightly damp sand and leaf litter. They were impressed in the ground about 2" or so deep. Something large and heavy would have had to make those. The stride was similar to that of a human, but smaller. The prints were nearly as large as my hand. 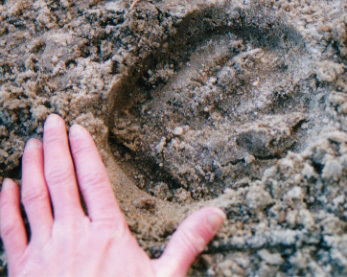 Sure they could have been horse prints, but where is the mystery in that?! I want to believe! 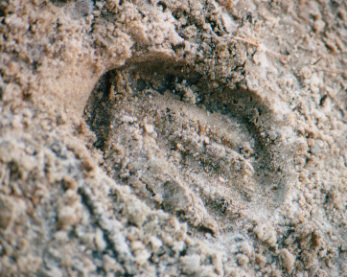 Besides, I've never seen horse prints that had the outline of 3 toes or claws... Not to mention the prints were erratic, not the stride of any horse I've seen. And there were no horse droppings around.